Solubilizes and emulsifies various organic spills such as motor oil, gasoline, diesel fuel, transmission fluid, grease, brake fluid, and antifreeze. This means the spill/contaminant can be lifted and separated from city streets, highways, and shop floors for easy, clean removal. Just pour SPILLCLEAN onto spill, broom into place, and hose down according to Envirionmental Protection Agency (EPA) and local regulations. pH 7 (neutral). SPILLCLEAN is not harmful to skin, if thoroughly rinsed off with water. Other surface washing agents may be very acidic or very alkaline, making them an unacceptable irritant to the skin. When SPILLCLEAN is applied to streets, all the petroleum-based contaminants that have leaked from vehicles gets picked up with the street sweeper, contained, and removed into sanitary stations. 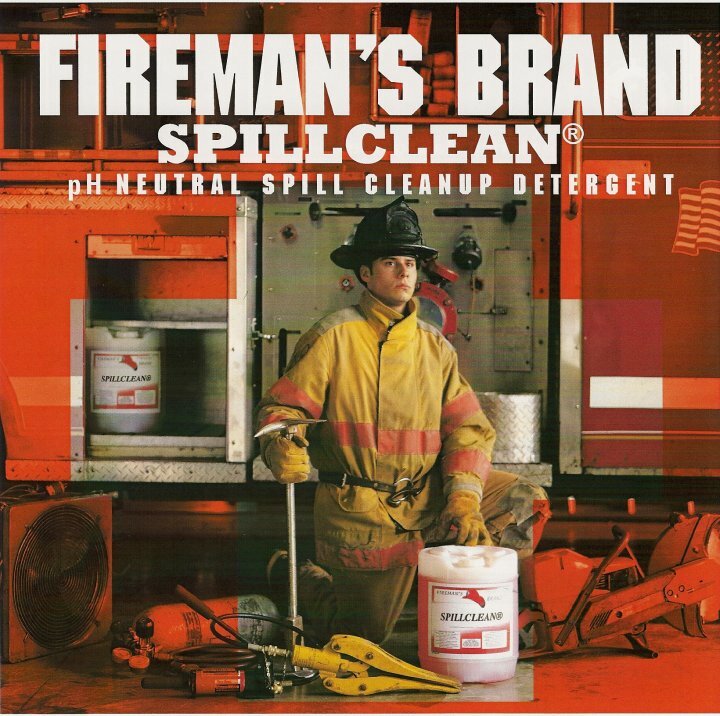 The Chicago Fire Department first came up with this idea of using SPILLCLEAN in street sweepers because of how efficiently it removes oil, grease, gasoline, etc. from our roads and highways. Now the Lake Tomahawk, Wisconsin Fire Department has followed suit.